Summer-time fun with Electra Lux7 Fat! 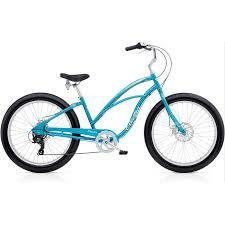 The Electra Lux7 Fat has arrived just in time for summer fun. Come in to LCB and take a test ride for a guaranteed smile on the dial! Women’s model comes in Blue and the Men’s is in Silver. A really Lux ride for just $699!